This is two coats of Anemone Gardens with topcoat. 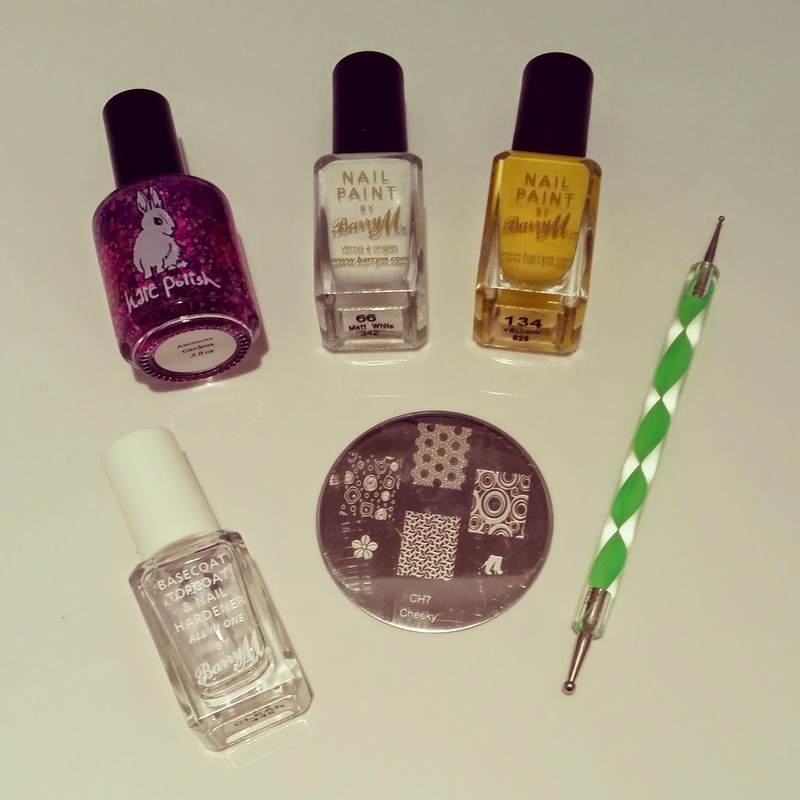 Followed up with stamping a single flower multiple times in white and dotting the centres with yellow. I finished with a final layer of topcoat. I don't know what's happened to this polish but it's gone very thick and gloopy, ideal for getting good coverage in two thin coats but did take a long thirty minutes to dry. A couple of the florals still smudged over the slightly squishy base lol! But I love it!! Hare Polish: Anemone Gardens. Barry M: White, Yellow, 3in1. Cheeky Vibrant: CH7. Amazon: Dotting Tool. This is a lovely HDH mani! Thanks so much Shelby!... Thinner is on the list!!! 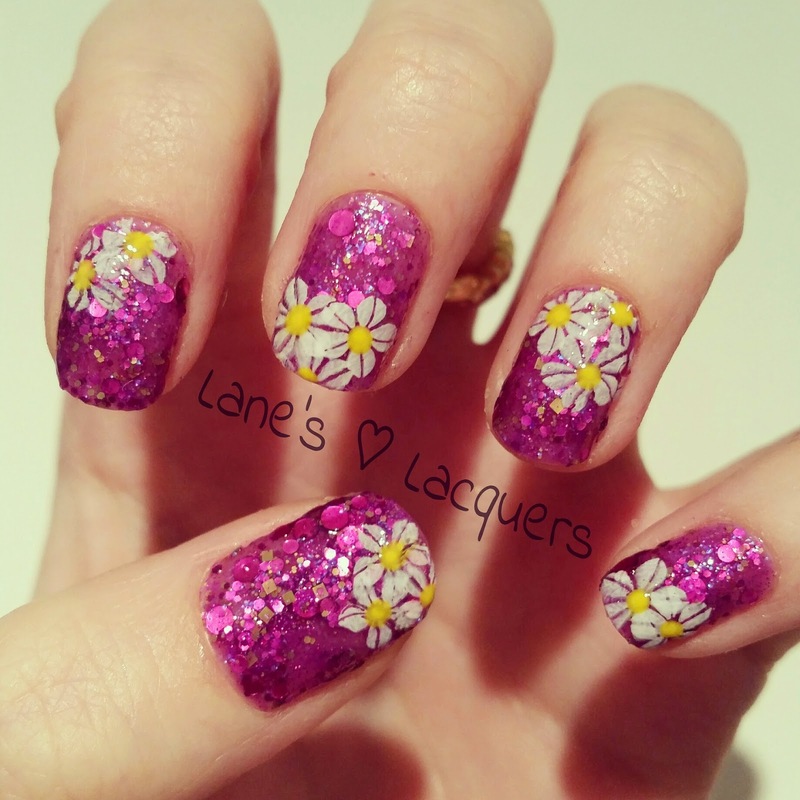 The purple polish is stunning and the flowers are really really cute! Thankies! 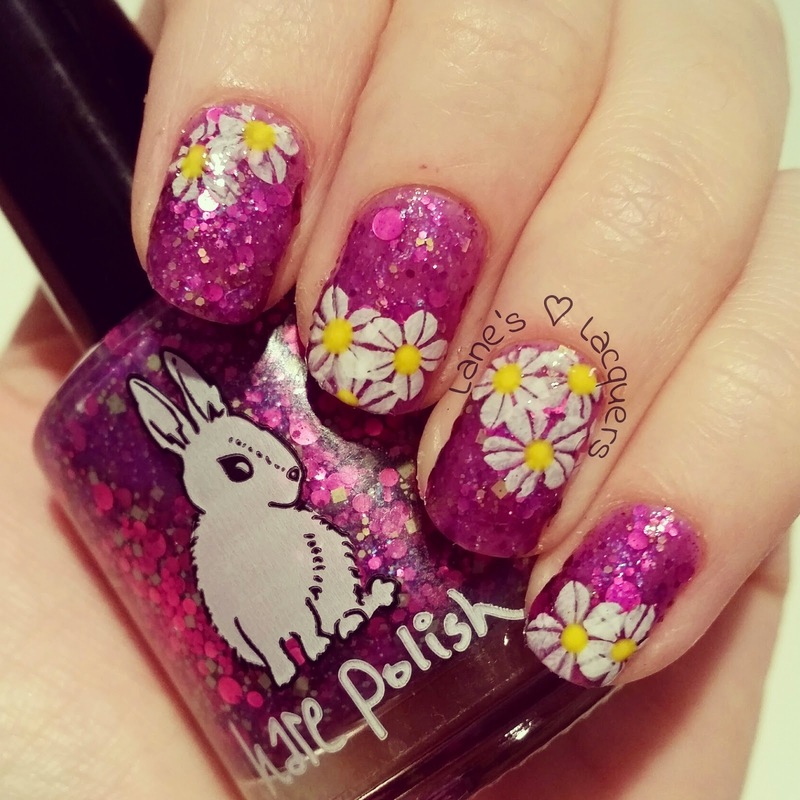 I love hare polish, they're sooo beautiful! Good tip about not thinning polish with acetone, too - it is tempting when I don't have anything else to hand! Such a cute and pretty design! I love the glitter polish too!